I walked into the office and the only thought in my head was, “Please God I don’t want to be the only 20 something upstairs.” The office is separated into, as we say, “Upstairs and downstairs.” Upstairs is where you have the cooperate team (so the CEO, directors, managers) Downstairs is where you have the people that do the direct care. As I walked into what would be my second home for the next five months, I was introduced to everyone and YES! God answered my prayer. There was another lady in her 20s and after a chat in the break room, I knew we would click. This office space is shared between five of us (all female and the other three are in their 40s and 50s). Everything was well until September arrived and the temperatures started the dropping. This particular day it was cold and raining outside and out of nowhere, the air conditioner was turned on without any discussion. This is the day myself and the other co-worker in her 20s knew that wahala dey! Whenever we were cold, we would just chat with each other on Skype for business, put on our sweaters or coat, or go walk around the office. Other times we’d take turns at saying, “can we please turn the air condition off?” The best part was when the others walked out of the room, because we would just turn it off quickly. Then it became a race to make it to the office early before everyone else, so you could set the temperature for the office (at least until someone just comes and changes it like say na their house we dey) Whenever it was a decent temperature, we would hear from the older ladies that, “it is way too hot and we need to excuse the middle aged women and their hormonal changes.” So for a month, we continued with the routine of switching the air conditioner off, when they walked out of the office. Sharing an office is like having a roommate. It could be a hit or miss! If you work in an office all day, Monday through Friday, you know that the office space is like a second home. I get so comfortable in my office space to the point where I have an extra pair of shoes in my drawer, snacks for the midday hunger and an extra sweater – in case I don’t win the “who gets into the office first” war. The dynamics of the relationships within an office also sets the tone of your workday. There are days when we have conflict in a staff meeting and the result of that is a tense office atmosphere but we find ways to work through it with small talk and humour. There are some situations that could be talked through, but my people I strongly believe that temperature battle was a lost one because any man dey do hin own shakara especially now. One of my office mates just turns off the heat as she wants, opens the window when she is hot and closes it when she feels she has had enough – on top December winter weather oh. At this point we have learned to keep a sweater in the office at all times and when that doesn’t help, we make 3 – 4 rounds to the kitchen for hot coffee, tea or chocolate. My close friend advised me to voice my opinion about the temperature but I did not, because I would rather wear an extra sweater than to have that conversation. I did this because when I come to the office, I know that by 5pm sharp I would be out the door. This is the difference between an office situation and sharing an apartment. This was a tough situation that I found myself in and I am sure a lot of people experience these little conflicts at the office. If you spend a lot of time in the office I am sure you understand just how important the office atmosphere is. There could be personality issues, rivalries and power struggles and things as simple as the temperature in the room. I am sure there are a lot of stories and experiences with issues at the office and I would love to read them. What sort of office issue have you experienced and what was the solution, if any? Lol nice write up. In my own case the I try to endure at work because like you said once its 5pm, I’m also out! However, I share my room with my elder sister and the AC in our room na die! Her duvet is way thicker than mine and I find myself shivering at night. The thought of me remembering that I am going to face another bout of ice cold air at work, forced me to voice out hard oh and henceforth I set the temperature of the AC to something favorable and hid the remote!!! I keep on smiling to myself whenever she starts nagging of how not ice cold the AC is! “Corporate” and NOT “cooperate”. There is a difference dear writer! H-E- Double Hockey sticks! Where do you work? Novels, music, I want your job! Loud Thinker: Cheating Parent…Should Children Get Involved? 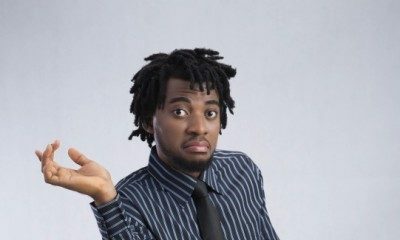 Loud Thinker: New Boo Wants to Borrow Money… What Gives? 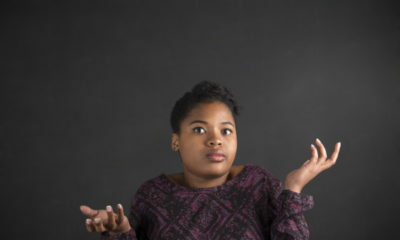 Loud Thinker: When Does Being Miss Independent Become Too Much?